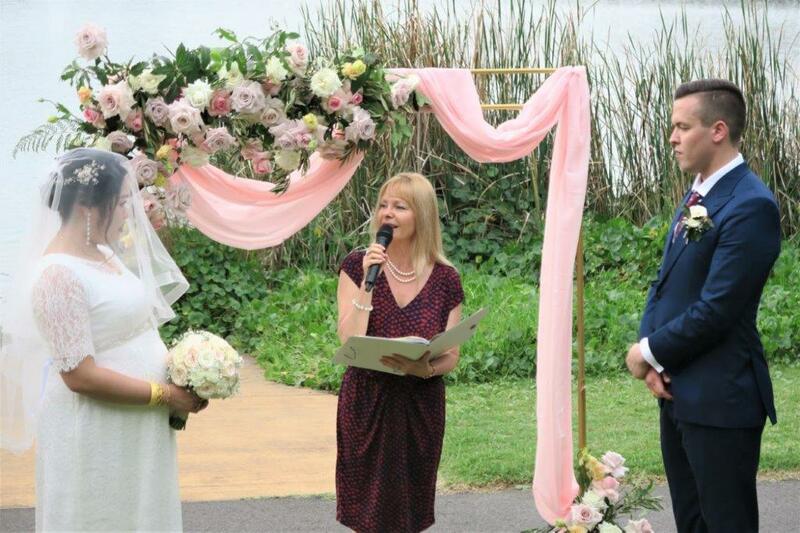 Cottage Point Inn Wedding ceremony – An amazing beach wedding location on the Northern Beaches of Sydney. It is a very special wedding venue, as well as the Cottage Point Restaurant for the reception afterwards. All in one place. Just like in many other weddings in that location, the bride arrived by seaplane. What an entrance! The deck is big enough for all the guests, as well as unbeatable water views all around. A very relaxing tranquil atmosphere for everyone, and especially for the bride and groom. More weddings on the Northern beaches of Sydney. 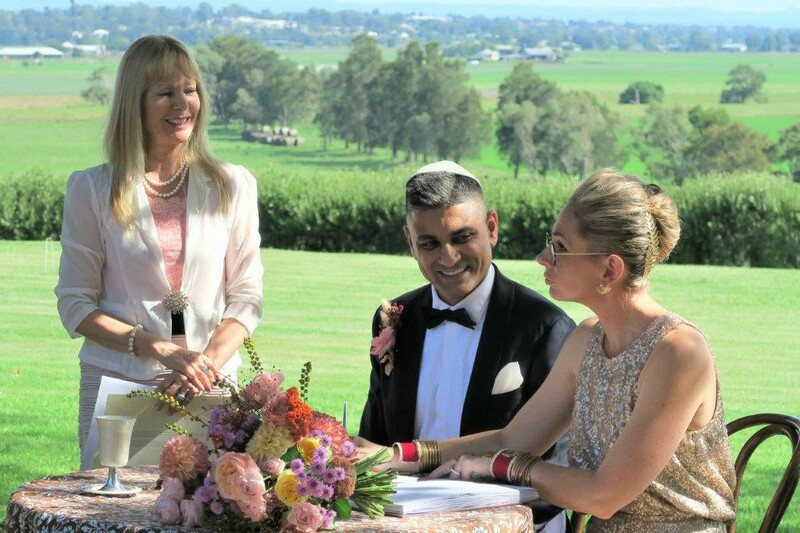 In each wedding ceremony in Australia, the couple has to repeat after the celebrant the prescribed legal vows. But then you are more than welcome to say to each other your own vows. 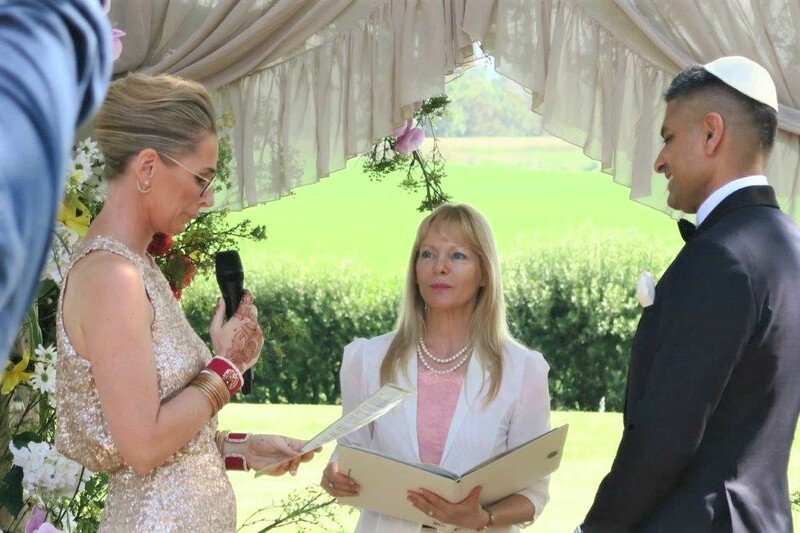 At this wedding ceremony, both the bride and the groom, following repeating their legal vows after me, wrote special promises to each other. I had their promises printed out and laminated for them on cue cards to read during the ceremony. 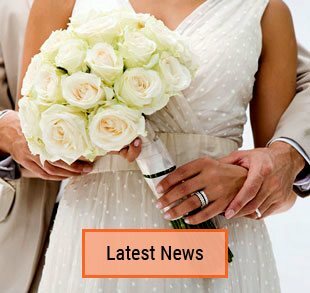 There are many ways we can personalize your very special wedding ceremony too. 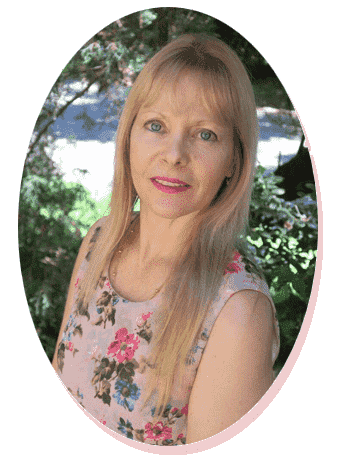 I can guide you and advise on how to write your own vows, choose the right music for your ceremony, vows, readings and more. 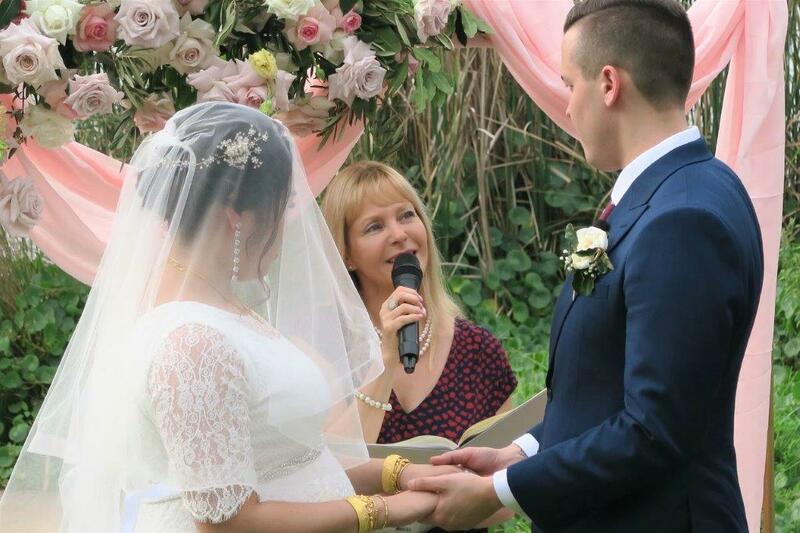 We create a beautiful wedding ceremony together. You also have the option of playing your chosen music via my PA for when the bride walks down the aisle. Contact me so we can start to plan and organize your beautiful ceremony together. 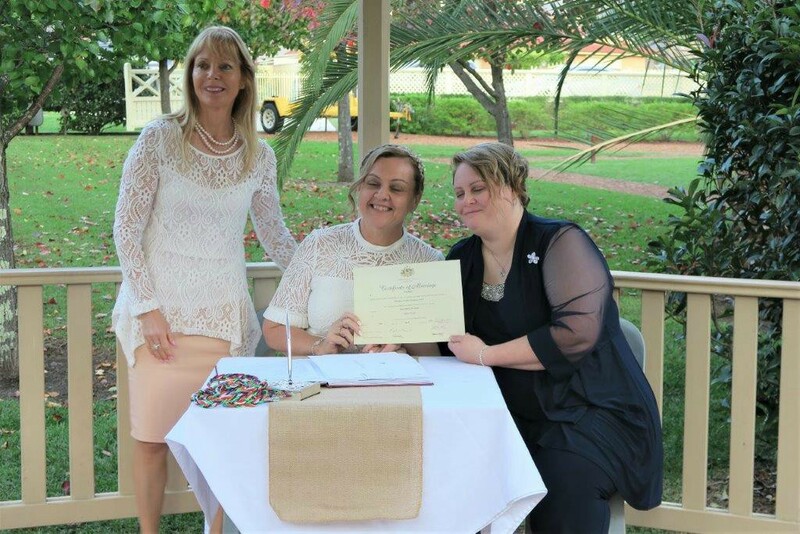 This entry was posted in Cheap weddings, Marriage celebrant, Sydney Celebrant, Weddings and tagged Affordable Celebrant, Celebrant Sydney, Celebrants, Experienced Celebrant, Marriage Celebrant, Marriage Celebrant Sydney, Wedding, Wedding Celebrant, Weddings.